Lessons Learned Modeling "Connecting Teaching and Learning"
While designing a web-based simulation to provide practice for teacher education students as they sought to master the complex skills expected of them as they develop work samples, the authors learned eight important lessons during the development of Cook School District. Work samples are a methodology for helping students learn to analyze their teaching by seeking connections between their work and student achievement. Cook School District serves as a site where teacher candidates begin the arduous process of learning to determine which strategies of instruction and assessment will result in greater student growth. 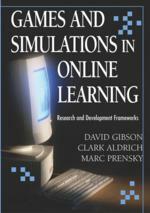 The four years required to develop the simulation brought home eight lessons, often painfully acquired, that are shared with readers. Learning and teaching are not inherently linked. Much learning takes place without teaching, and indeed much teaching takes place without learning (Wenger, 1998).